In Norman Cousins' medical memoir, he wrote of how he used laughter as part of the healing process. Laughter is a great way to cope with anxiety and tension, and it can help maintain a positive attitude by relieving stress and improving mood. Additionally, it can help the physical healing process by lowering blood pressure and lowering blood sugars in those with diabetes. Given that these two conditions are responsible for the majority of kidney disease in this country, laughter and humor should be part of the healing process. What is life without music? I know I could not imagine a life without it. Music has many healing qualities. It relaxes us, it can calm our fears, and it may help lower our blood pressure and improve our overall health, which makes complete sense given that all of us are musical. What do I mean by this? There is a musical rhythm to everything in our bodies. Our hearts quite literally, have their own musical rhythm. While much has been described on the psychological effects of musical healing, it is also important to note that it has physical effects as well. A study was done in Canada concerning music therapy and those on dialysis. 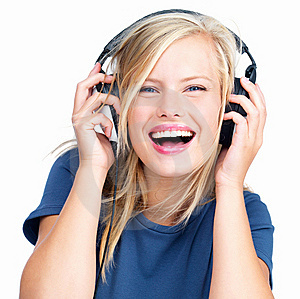 Music helped with relieving depression, relieving anxiety, and lowering stress levels. So go ahead. Turn up the radio! In the beginning, the goal was to get you thinking about the way to better kidney and overall health. The journey of a thousand miles begins with a single step. Take that first step on the pathway to your health journey today. Gradually, you will acquire a new insight and be an ambassador for a healthy lifestyle; but for now, just try using this simple start-up plan. The plan is like going up a set of stairs; each day you take another step up towards your goal. It may be a small step, but the important thing is to not go backwards. We never go down, we only go up. All you need for this first step is a good pair of walking shoes and a commitment. The beauty of walking for exercise is that you can adapt the time and pace to fit your age and condition - all I am asking for is five minutes the first time out. Keep a walking diary so that you can concretely see your progress. Try to increase your walks by a minute each time so that you are eventually walking for thirty minutes three to four times a week. In the event of cold or inclement weather, check out your neighborhood mall; most have an indoor walking program. It can be difficult to change your eating habits all at once. So, in this second step, I'm just asking you to change one meal at a time. Start with breakfast. Make it a priority each morning to put something healthy into your body. Whether it is a sprouted grain cereal, vegetable omelet, or something as simple as a glass of vegetable juice, make the commitment to that first meal of the day. A simple breakfast meal can take as little as five minutes. You will eventually find that a healthy lunch and dinner will fall into place, too. In our hectic worlds, we often make time for our spouses, children, parents, and friends, but none for ourselves. To complete step three, make daily relaxation for at least five minutes a priority. Learn relaxation techniques, such as deep breathing with your diaphragm, that you can do in five to ten minutes. These short intervals of meditative therapy can do a lot in keeping you centered and reducing the effects of every day stress. Make the commitment and take five minutes! Think about a typical workday. There's probably coffee in the morning, a mid-morning coffee break, a soft drink for lunch, coffee in the mid-afternoon to help keep you awake after that heavy lunch, and coffee or a soft drink with dinner. Starting today, decrease the amount of coffee or soda you drink by one cup. The time it takes to buy it from the vendor and subsequently drink it is about five minutes. Use that five minutes for something else instead, like time for meditation. Continue reducing by one cup each week. Rome wasn't built in a day, and caffeine is something from which you will have to gradually wean yourself. Why do we smoke? For many of us, it is a great stress reliever. There is nothing like going out for that five minute smoke break. Think about how many smoke breaks you take daily. Maybe it is one when you wake up, one at work in the middle of the day, one late in the afternoon, and one at night before bed. That's a lot of five minutes. Take one less smoke break a week. Give yourself those five minutes back. If you are continuous chain smoker, reduce the amount you smoke by 5 percent each week. After several weeks, you may have an additional half-hour or whole hour back you didn't know you'd been missing. Now that you have been exercising more, you are likely more tired each night. For many of us, sleep is a priority we forget about. The solution is simple. Each week, go to sleep five minutes earlier. After six weeks of this, you will have gained a half-hour of sleep. If you can give yourself an additional half-hour to hour of sleep each night, you will be all the better for it. And all it takes is five minutes. As you can see, this is a rather simple, yet ambitious plan. I assure you, though, it is very doable. It may be difficult at first, but that is why we are starting with small changes. Over time, the small steps will become a full flight of stairs. You will have walked to the top without even realizing it, and your kidneys will thank you. The healing process is not just a physical one. Beyond healing your body, you also need to heal your spirit. It is important to utilize all potential modes of healing that are available. Mind, body, and spirit are all connected. To find out more, you can check out Recipes For People With Kidney Disease.